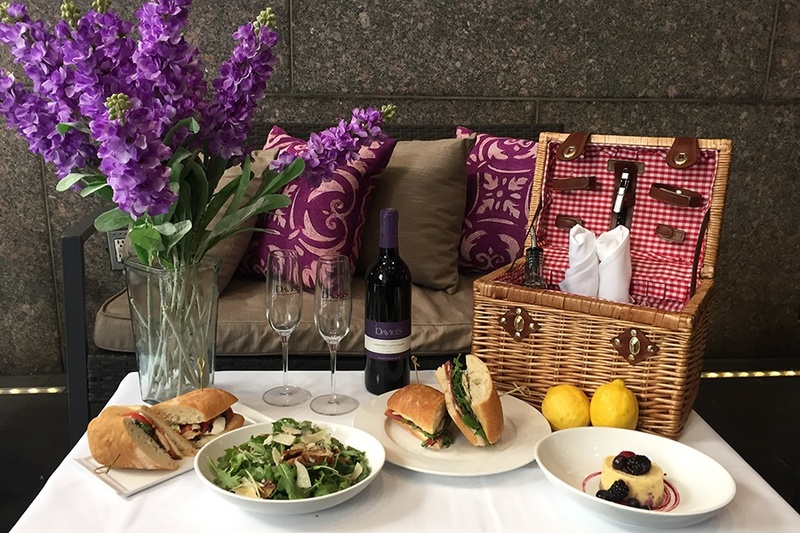 A picnic basket from Davio’s makes for a three-course Italian lunch in the Public Garden. These seven Boston-area restaurants make it easy to have a gourmet meal en plein air with picnic packages and catering options—and we made it easy to figure out where to roll out your blanket. Call ahead or order online, and keep in mind that holidays like Memorial Day, Fourth of July, and Labor Day may affect these businesses’ hours. A $32, “dinner for two” deal is complete with a whole Green Circle rotisserie chicken with house sauce; an iceberg lettuce with blue cheese, olives, and oregano vinaigrette; and strawberry rhubarb crisp. Share it with a friend just off the bike path overlooking the Charles River. Branch Line, 321 Arsenal St., Watertown, 617-420-1900, branchlinearsenal.com. Order a picnic basket at least one hour ahead of time to feast on three courses for two—this northern Italian steakhouse is situated just a quarter mile from the Arlington and Boylston street entrance to the Public Garden. Choose from salads like mixed greens with balsamic vinaigrette, or chopped romaine with green beans, chickpeas, bacon, bleu cheese, and tomato; sandwiches filled with chicken salad, or prosciutto and fresh mozzarella; and dessert of Italian cheeses. 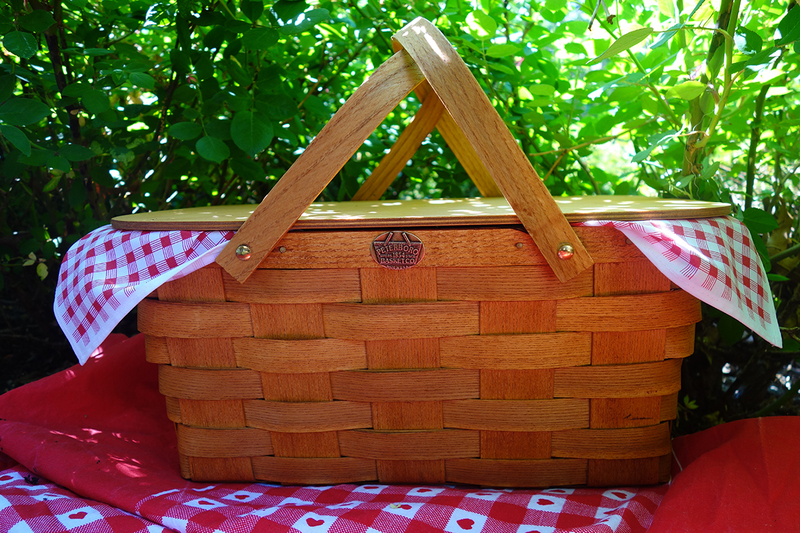 It’s $95, including a $25 deposit that’s returned with the picnic basket. Davio’s Northern Italian Steakhouse, 75 Arlington St., Boston, 617-357-4810, davios.com. This Downtown Crossing spot’s policy to open any bottle of wine with a commitment to two glasses unfortunately does not extend to takeout orders, but it can still hook you up with a funky selection of imported, preserved seafood. 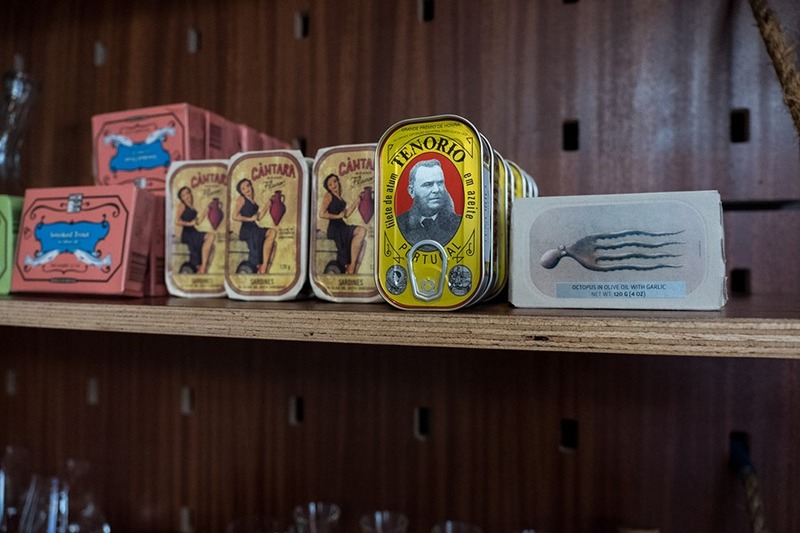 These pretty tins of Portuguese sardines with oregano ($9), tuna pâté ($12), gourmet octopus in garlic olive oil ($18), and more don’t need to be refrigerated, and they all pair well with Ruffles potato chips, so they are great picnic snacks. Order online for home delivery, or pick up in person for the next day’s lunch when the bar opens weekdays at 3 p.m. It opens Saturdays at 11:30 a.m.
Haley.Henry Wine Bar, 45 Province St., Boston, 617-208-6000, haleyhenry.com. The entire menu—from pizza, to a spuckie with slow-roasted porchetta and a fried egg, to the zucchini lasagna that beat Bobby Flay on a 2011 episode of Throwdown!—can be packaged and taken to go. While Nebo was born in the North End, it’s now located along Atlantic Avenue overlooking the Greenway: the perfect spot for work lunch or a leisurely weekend picnic. Nebo, 520 Atlantic Ave., Boston, 617-723-6326, neborestaurant.com. Breakfast and lunch options like avocado sourdough toast; Greek-style yogurt with house coconut granola and berries; fried chicken thigh with collard greens and black-eyed peas; and a turkey club are served every day until 5 p.m. (Sunday and Monday until 3 p.m.) Everything can be wrapped to go a mile to picnic on the reservoir. Noca Provisions, 156 Rindge Ave., Cambridge, nocaprovisions.com. Kingsley Park, 250 Fresh Pond Parkway, Cambridge, cambridgema.gov. 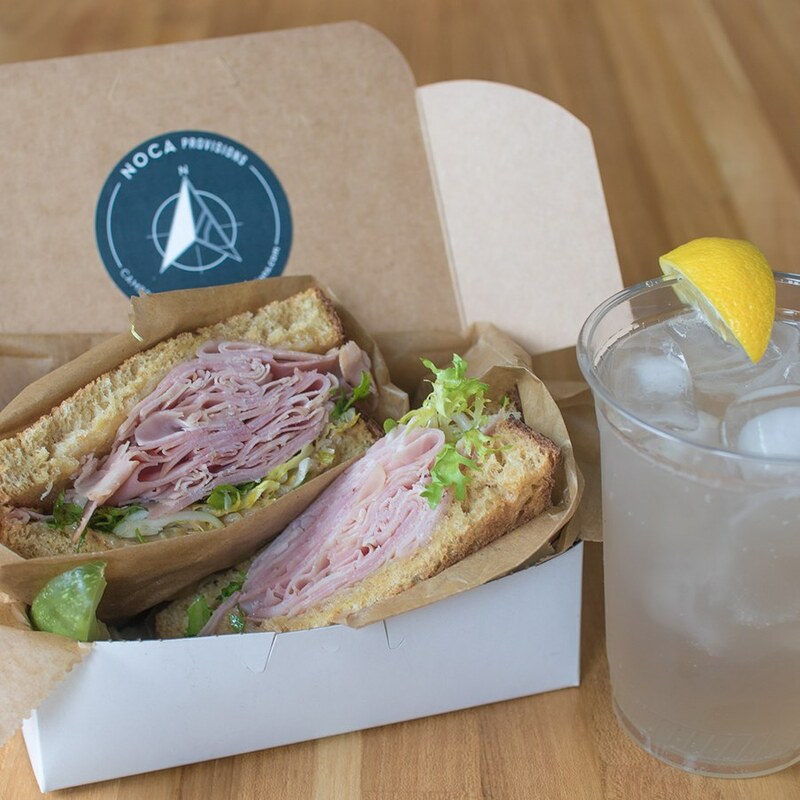 Gather your crew and go in on a “picnic bucket” from this Kendall Square deli. Groups of four or more can build their own sandwiches with options like house-cured pastrami, corned beef, turkey, cheeses, rye bread, challah rolls, sauerkraut, and more. With potato salad, coleslaw, pickles, packaged sodas, cookies, and the requisite cutlery, the deal is $25 per person. (This is a catering order, so plan for a six percent service fee, as well.) Then, take it .3 miles to a landscaped, hidden gem atop a parking garage—hey, city living has its perks. Mamaleh’s, One Kendall Square Bldg. 300, Cambridge, 617-958-DELI, mamalehs.com. Kendall Square Rooftop Garden, 4 Cambridge Ctr., Cambridge, kendallcenter.com. These themed, summer traditions from chef Barbara Lynch’s educational kitchen are available every day this year, from June through August. Up first is a celebration of “classic Americana”—think fried chicken, potato salad, and seasonal summer sides. In July, travel to Southern France with a basket full of pâté, salade Niçoise, and more to share; and in August, head to the Mediterranean with focaccia and insalata Caprese. Each menu ($125 each, $300 for the whole summer) uses produce from Siena Farms, and includes a non-alcoholic drink pairing. Since it’s packaged with utensils in a solid birch basket, it’s ready to go with you to the beach or wherever—but you could also just stay in the neighborhood and people-watch at this community hub, just more than a half-mile away. Stir, 102 Waltham St., Boston, 617-423-STIR, stirboston.com. Titus Sparrow Park, 200 W. Newton St., Boston, titussparrowpark.org.